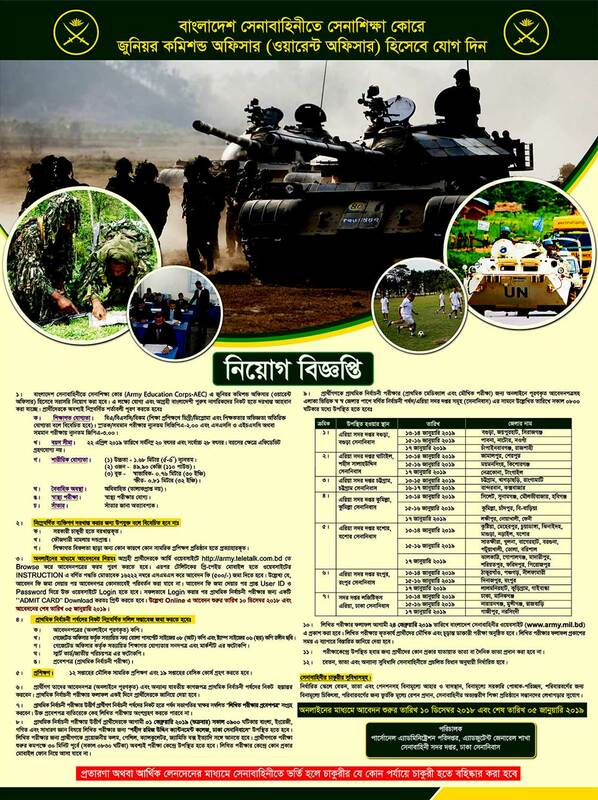 Bangladesh Army Job Circular 2018 has published. 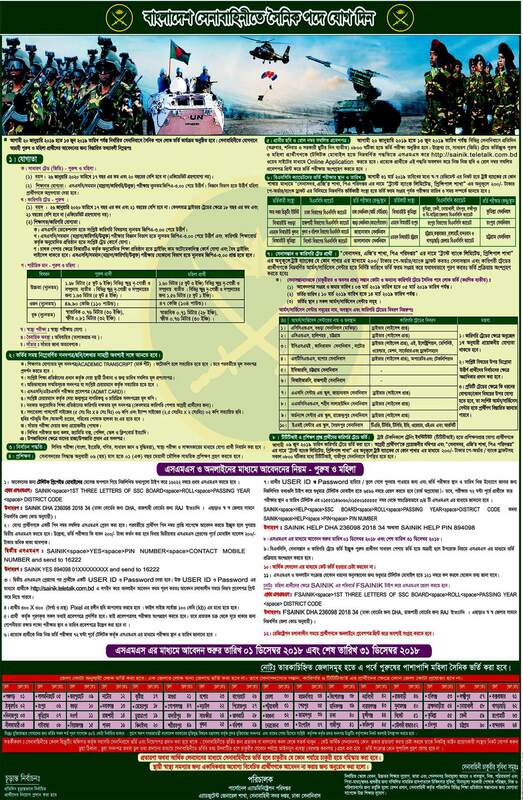 Bangladesh Army Job Circular 2018 is available on my website. Defense career is all about choosing one’s own vision. It’s more than about choosing his/her job. So the interested and eligible candidates are requested to apply through online for the positions. To know more details please see the original Job Circular. The last date of apply for positions 31st December 2018. Bangladesh Army Job Circular 2018. The professional branches of the Army (the Army Medical Corps, Army Dental Corps, Army Education Corps – the Judge Advocate General’s Branch, Corps of Engineers, Electrical and Mechanical Engineering Corps and Army Signal Corps) provide civilian degree leaders a means to receive a Direct Short Service Commission in their career field. Only shortlisted candidates will be called for the interview as per the recruitment process. Any kind of persuasion/ canvassing in any stage of the selection process shall be treated as disqualification. Bangladesh Army reserves the right to accept or reject any application without any reason whatsoever. Bangladesh Army Job Circular 2018.